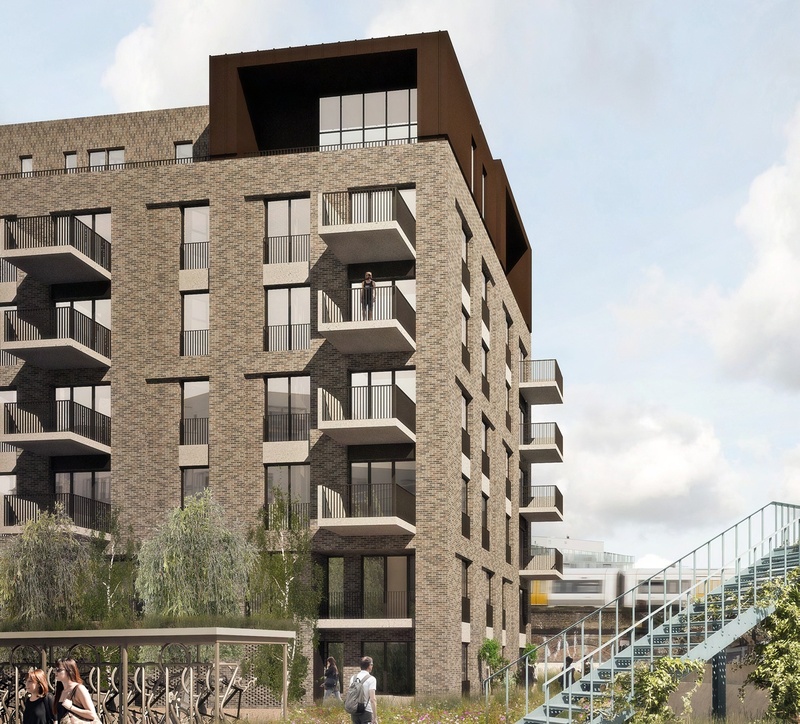 Long-standing successful businesses could be driven out of Lewisham borough if plans to redevelop the Faircharm Trading Estate in Creekside are given the go-ahead. Owner Workspace wants to change the classification of the business units on the estate to eliminate general industrial use, in order to build nearly 150 residential units on the land, and tenants are warning that they will have nowhere else to go. 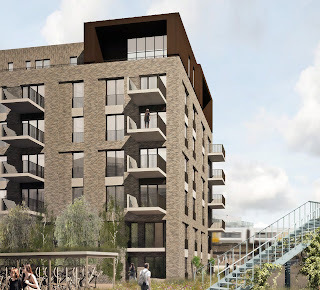 An application for full planning permission to redevelop the Faircharm Trading Estate on Creekside was submitted to Lewisham Council at the beginning of December last year. Although the date for responses is nominally 7 January it is worth remembering that the planners will accept any responses submitted up to the date that the application is considered by the planning committee, currently scheduled for March. However if you have strong objections to make, it is worth getting your comments in as soon as you can so that the planners have time to investigate and consider any specific points you want to make. The remodelling, repair, restoration and conversion of two existing buildings (A and C) to provide new commercial uses (4031 sqm of Use Class B1) with associated plant, servicing and storage. Demolition of Building B and the construction of four new buildings ranging from 6 to 12 storeys to provide 148 residential units (62 x one-bed, 69 x two bed and 17 x 3 bed), and new commercial uses (703 sqm of Use Class B1) together with new open space, landscaping, car and cycle parking at Faircharm Trading Estate. The attempt to redevelop the estate already has quite a history, with the previous plans failing to impress anyone. I did not write about them in detail but Crosswhatfields blog did and pointed out the fact that the proposed new buildings on the Creekside frontage would overlook and overshadow the housing on Crossfields estate, and highlighted various other aspects of the proposals that did not endear them to residents or business tenants. Lewisham Council took a decision in May 2012 to designate the Creekside area as a conservation zone, presumably to try and protect its character, despite the fact that planning restrictions in Deptford's other existing conservation zone, the high street, continue to be poorly enforced. The new plans - which have now been submitted to the planning department - propose to retain and remodel some of the buildings facing Creekside for continued business use, with new buildings on the rear of the site - one up to 12 storeys high - for residential use. If I were judging these new plans purely on their aesthetic, architectural or public realm aspects, I would probably comment that aside from the height of the residential block on the edge of the Creek, the architect had done a pretty good job of adapting the site to be more friendly to its Creekside neighbours. However the main issue with this application, as I see it, is the proposal to make fundamental changes to the permitted use of the site. With the proposal to build residential units on the site, the future for many of Faircharm's existing businesses is bleak. People living on the site will not want - and should not be expected - to live next to businesses that are noisy and dirty and have deliveries outside normal working hours. To accommodate this, Workspace wants to make all its commercial units class B1, which is basically office-based businesses, eliminating any general industrial use of the site and driving out many of the businesses that have been there for years. As a result, the 'creative hub' which is at the heart of Deptford, and which so many developers capitalise on to convince people to move to trendy SE8, will be severely depleted. 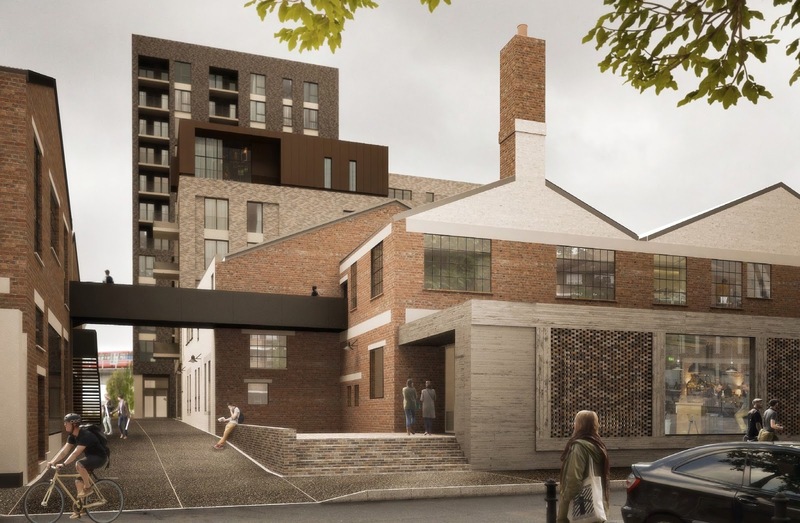 Throughout the 'consultation' process, say remaining tenants, Workspace has promised to offer them units in the new development. But the proposal to reclassify the business space was never mentioned, and tenants believe that they will not fit the criteria for B1 occupation. With so many industrial sites in this part of the borough being redeveloped for housing, alternative space will be hard, if not impossible, to find. The application documents make some interesting claims for how Workspace expects the redevelopment to increase jobs on the site - after all, this site is designated for employment use so they need to come up with some statistics to convince the council that they are not going to reduce employment in an area which already suffers high levels of unemployment. With the redevelopment, the amount of non-residential floor space will be reduced from 12,749sqm to just 4,734sqm, a loss of more than 8,000sqm. And yet Workspace claims the 139 people that the site currently employs will mushroom to 339, despite there being considerably less space for them to work in. Since they will mostly be sitting at computers rather than operating machinery to make things, I guess we can cram them in like sardines, but even so this sounds like a very generous estimate. If you want to read the details of the statistics that back up this bold claim, you need to download the Environmental Statement Main Text from the planning application website, and read chapter seven. Feel free to add any insights in the comments box below. As you might expect, Crosswhatfields blog has gone into much greater detail about the proposals, you can read the posts here and here, which may be useful for any comments or objections you may wish to submit. As always, send your responses (they MUST include your name and address) to the planning department, quoting the planning application reference DC/12/82000/X, either by email or letter. Are we to assume this is the unstoppable future of the Creek, destined to be flanked on all sides by luxury housing? Deyan Sudjic wrote in 2003 in his Observer article Sold down the river: "Now developers, driven by soaring land values to extract the most out of every inch of riverside, build as close to the river as they can. Whole stretches are now lined with apartment blocks, built to take advantage of the views of the river, but the result is to offer residents spectacular views of all the other ranks of balconies on either side of them, and on the other side of the river, looking back at them. In the process the Thames has been turned into something very much like a very long thin football stadium." Please read this article – it accurately describes what has happened to the Thames and what will happen to Deptford Creek if you let it.